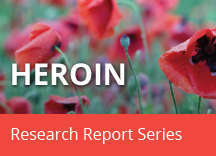 Home » Publications » Research Reports » Heroin » What is the scope of heroin use in the United States? Source: National Survey on Drug Use and Health: Summary of National Findings, 2016. It is no surprise that with heroin use on the rise, more people are experiencing negative health effects that occur from repeated use. The number of people meeting Diagnostic and Statistical Manual of Mental Disorders, 4th edition (DSM-IV) criteria for dependence or heroin use disorder increased dramatically from 214,000 in 2002 to 626,000 in 2016.1 The fifth and the current version of the DSM, DSM-5, no longer separates substance abuse from dependence, but instead provides criteria for opioid use disorder that range from mild to severe, depending on the number of symptoms a person has.7 Data on the scope and severity of opioid use disorder in the United States are not yet available for these new criteria. Fentanyl is a synthetic opioid that is 50 to 100 times more powerful than morphine. Recently, traces of fentanyl have been found in many other illegal drugs, including heroin. This is a public health concern because the strength of fentanyl makes overdosing more likely. Heroin use no longer predominates solely in urban areas. Several suburban and rural communities near Chicago and St. Louis report increasing amounts of heroin seized by officials as well as increasing numbers of overdose deaths due to heroin use. 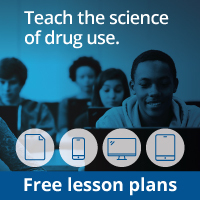 Heroin use is also on the rise in many urban areas among young adults aged 18-25.8 Individuals in this age group seeking treatment for heroin use increased from 11 percent of total admissions in 2008 to 26 percent in the first half of 2012.